Not only is beetroot great for boosting stamina and making muscles work harder, it also contains potassium, magnesium and iron as well as vitamins A, B6 and C, and folic acid. 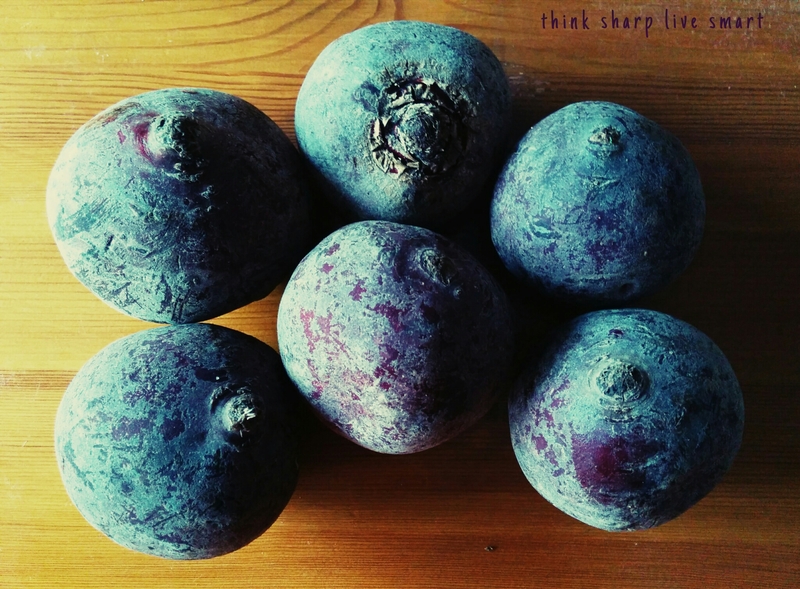 Beets also contain carbohydrates, protein, powerful antioxidants and soluble fibre. What’s more, just three baby beetroot equal one of your recommended five portions of fruit and vegetables a day. Betacyanin, the pigment that gives beetroot its colour, is also an antioxidant. Antioxidants are believed to help reduce the oxidation of LDL cholesterol, in turn protecting artery walls and reducing the risk of heart disease and stroke. Beetroot contains folic acid which is essential for normal tissue growth. Folic acid is crucial to the development of a baby’s spinal cord during the first three months of pregnancy and can help prevent spinal cord defects such as spina bifida. Beetroot also contains iron so is a fab pick-me-up for mums-to-be suffering from fatigue during pregnancy. Expectant mums must remember though that cooked beetroot has lower levels of folic acid than raw beetroot. Beetroot contains the mineral silica. This helps the body to utilise calcium, which is important for musculo-skeletal health and reducing the risk of osteoporosis. Beetroot contains soluble fibre, which has also been shown to have cholesterol lowering capabilities. It also contains carotenoidsand flavonoids, which help prevent LDL or ‘bad’ cholesterol from being oxidised and deposited in the arteries. Beetroot is virtually fat free and low in calories. Although it has a ‘medium’ GI (Glycaemic Index) of 64, It has an extremely low GL (Glycaemic Load) of 2.9 which means it’s converted into sugars very slowly and therefore helps to keep blood sugar levels stable. Beetroot’s iron content means it’s good for those with anaemia and fatigue. A recent study by Wake Forest University in North Carolina, USA has shown that the high content of nitrates in beetroot may also help fight the progression of dementia, as nitric oxide in the blood (produced by the nitrates in beetroot) also helps increase blood flow to the brain. Beetroot’s folic acid may also play a part as studies suggest it can help protect against Alzheimer’s and dementia.